When you work with us, you get to team up with professionals who are well-versed in life insurance, mortgage protection, and Medicare supplements. Call today and watch your productivity and profits soar. 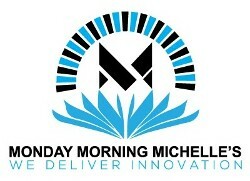 At Monday Morning Michelles, we help top insurance agents set sales appointments and fill their calendars. While many in the industry make their clients pay ahead of time, we put our money where our mouth is — we only require partial payment upfront to cover calling efforts and then balance after our services are rendered. Since all calls are recorded and you get a copy of the recording - All Appointments will be charged for at the end of the week. Your time is better spent in the field closing your sales rather than making phone calls. For this reason, all of our callers are professionally trained and will make your calls for you. Think of us as your Agent Sidekick — we take care of business for you. Call today and discover the advantages of working with an experienced team of professionals. Want to Work for Us? Let Us Know! Fill out the form below, and we will contact you soon regarding your inquiry.